WHAT IS IT? ARC has risen to fame for its composite, unbreakable, folding Memlon levers, but for riders who don’t want nylon-style levers, ARC makes forged aluminum levers that mimic the Memlon shape. WHAT’S IT COST? $69.99 (brake or clutch). CONTACT? www.arclevers.com or (714) 543-0362. WHAT STANDS OUT? 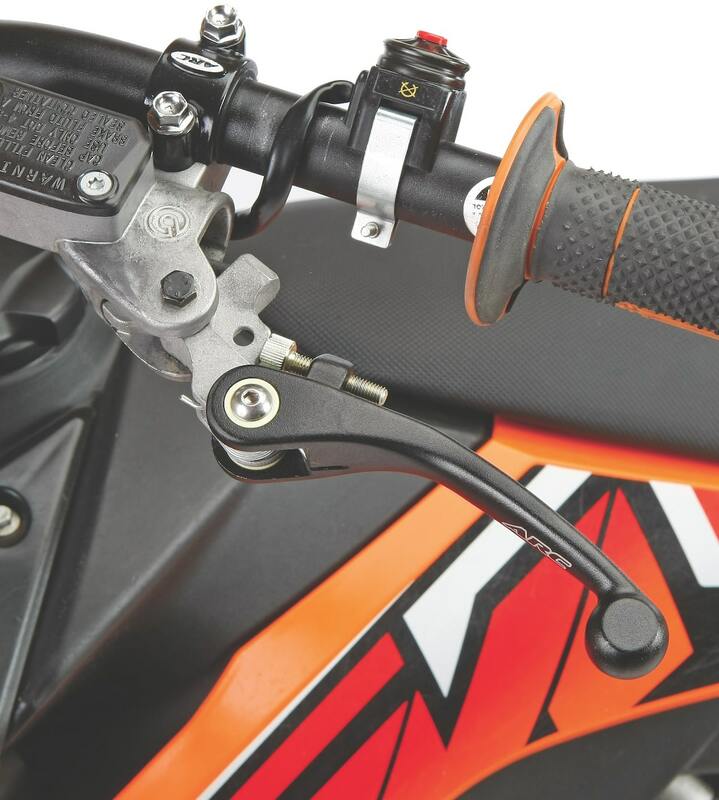 Here’s a list of things that stand out with ARC’s Memlon composite clutch and brake levers. (2) Design. It is obvious that ARC is a hard-core design firm that can’t stop reinventing the wheel—and the wheel in this case is motorcycle brake and clutch levers. ARC has something else going for it—high-profile test riders. With Eli Tomac, Zach Osborne, Austin Forkner, Weston Peick, Justin Barcia, Justin Hill, Josh Grant, Malcolm Stewart and Adam Cianciarulo providing input every week, ARC has its pulse on what the stars want. Some of those stars want unbreakable composite levers and some want forged aluminum levers, but they are all in agreement that they prefer the thicker shape of the Memlon composite levers over ARC’s previous forged aluminum lever. So, ARC redesigned its forged levers to be more like the composite levers. (4) Quick adjust. The greatest part of the new forged ARC lever is the reach adjuster. It is a stroke of genius because of its simplicity. The lever has a small blade-like fin that fits into a cross-hatch groove in the adjuster bolt. The bolt can be turned in or out to change the reach, but once the fin interlocks with the crosshatch, the reach is set. Stunning engineering. (5) Lifetime warranty. 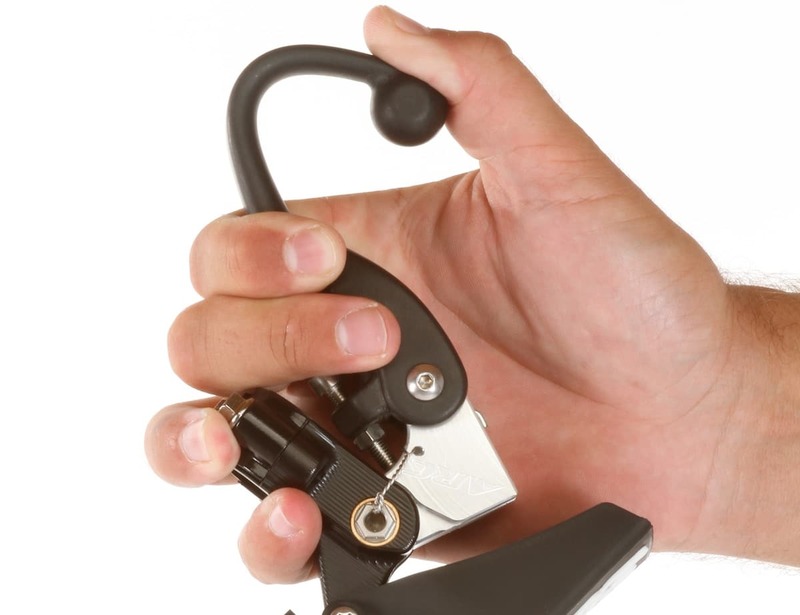 Since the composite Memlon levers are unbreakable, their lifetime warranty is a given. As for the forged aluminum levers, ARC will replace them for $15 (to cover shipping and handling). WHAT’S THE SQUAWK? Three quibbles. (1) The price. 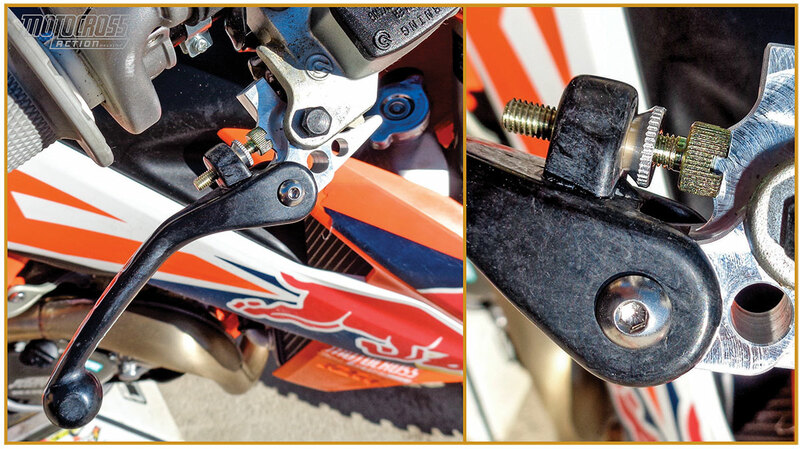 Although it is the cheapest unbreakable lever made, it is much more expensive than most aftermarket aluminum levers. Factory teams run it because they can’t afford to lose a race because of a broken lever, thus the $70 price tag is just an insurance policy for them. (2) The shape. The Memlon shape is a little wider with more gripping space when compared to the previous ARC aluminum levers. Some MXA test riders preferred the thinner levers over the Memlon shape. (3) The flex. Memlon levers are more flexible than aluminum‚ which is why they don’t break. 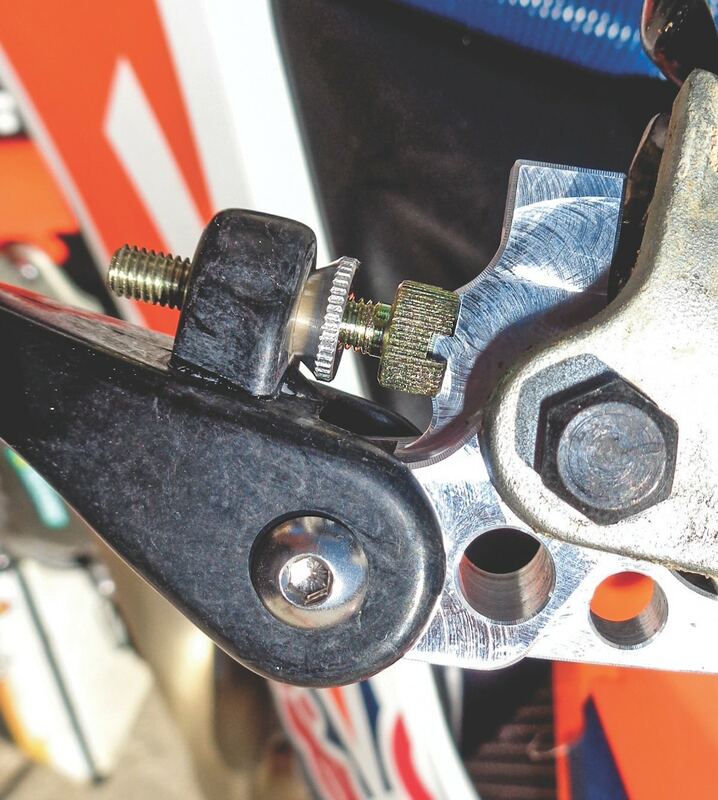 When sitting still in the pits, the MXA test riders could flex the levers very far, but once on the track, no test rider noticed that the levers had any excess flex.